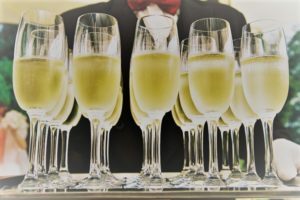 When it comes to successfully chartering a private jet, there’s more to it than simply ordering an expensive bottle of bubbly and finding the aircraft. It’s important to follow the right steps to ensure the best possible flight and experience. The last thing a person wants to do is hire Joe Shmoe. That’s why this guide is an invaluable resource for all the savvy folks out there who want to have a top-notch experience. After all, it’s not every day a person charters a private jet. First things first, start out by doing your homework and know who you are hiring. The best case scenario has a friend who can give a quality recommendation. If none of your friends are cool enough to charter their own private jets, Google is always there by your side. If you do use Google, don’t pick the first choice that pops up. 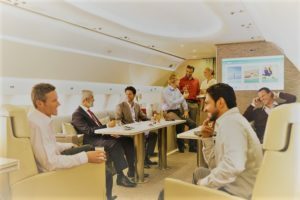 Of course, we are biased and think you should pick us; but having a team of experts arranging the details, pilots, and cabin crew can make or break a trip. If you want to party like a Rockstar during the flight, make sure your people look into the rules and regulations. Pro tip. Look for a jet charter company that is registered with ARG/US, Wyvern, NATA, NBAA and the BBB like we are. 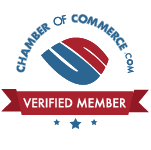 Not only are we carrying additional insurance for your flight, but we have undergone extensive audits & reviews to become a member of these groups. JetOptions will also be making further checks on your plane and crew to confirm they meet all of our stringent standards. Believe it or not, there are some bad actors out there who may not have your best interest in mind. Here is the fun part! After finding the best company, shift gears to finding the perfect jet for your needs. 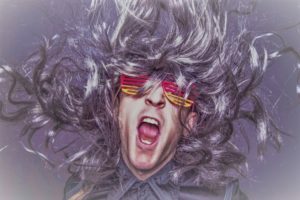 Are you throwing a huge party? Is this a romantic getaway? Are you taking a trip with the family? Do you plan to turn the jet into your own personal dive bar? There’s a lot of amazing jets to choose from. Companies will show all of the interior shots of each jet and list their capacities. It’s up to you to choose which one you like best that will suit your needs. Oh yeah, don’t forget about price either, although, budget shouldn’t be a problem. The company needs to know who they’re flying around in style. You don’t want to just ride up to the runway with a bus load of your friends. Once you send in your passenger list, the company will make sure everyone gets his or her own set of bells and whistles. No private jet flight is complete without lavish dining. If you’re taking a long flight, you need to make sure all of your guests are full. This isn’t a commercial flight where the meals only tease your taste buds. Don’t forget about the beverages either. If someone doesn’t have his or her favorite drink on board, it could ruin the entire flight. If this flight is a celebration, don’t skip on the good champagne. When you’re flying in style, you must drink and eat in style too! Instead of driving your car to the airport, hire a car or limo to take you there. The shenanigans can begin on the ride over; there are no rules against it. Just make sure you can still stand up straight when you get the airplane, or you may run into a few problems. If you don’t want to have a driver, you’ll need to drive yourself out to the jet or park the car in the private lot. There’s no waiting in lines or taking your shoes off in security; this is all about convenience. Don’t forget to leave your keys with the FBO after you breeze on into the terminal. This is when style really comes into play. Dress your best, think James Bond and Kate Middleton. When you step out of the car or limo, you want to look important. People are going to rush over to carry all of your bags and lay out the red carpet to the plane’s door. Don’t be afraid to overpack either because you’re going to need a lot of choices. Act like you own it, you worked hard to live in such lavishness. When your glamorous and awe-inspiring flight comes to an end, it’s time to continue the party in your destination. You’ve already flown to the airport nearest to your resort or upscale hotel. You’re going to need your rest after the long flight and all the champagne. A driver can be waiting for you and your luggage landside for your and your party’s arrival. Before landing, it’s imperative to freshen up. Try to land during the day so you can wear your big sunglasses. Practice your posture to look as important as humanly possible. You want people to think you are in the top 1% of society when you disembark. If there is no red carpet, ask to have one rolled out. Don’t forget to thank the flight crew for making your trip as comfortable as possible. And even if there is no crowd waiting for you there, wave like you are royalty. Ending a vacation is usually a heartbreaking experience. No one wants to stop living in paradise or drinking in the dream life. The ride back is a little different, unless you’re a real party animal. Focus more on comfort during this stage, and you want the transition back home to be as pain-free as possible. The last step is having your private car or limo drive you back to your estate. If you did park yourself, the co-pilots can radio ahead and have your car brought around to await your arrival. That’s about it! You’ve just successfully learned the steps to charter your own private jet. Now get out there and live it up! Low TT. UNS-1 Esp & Garmin GTN 750 w/ XM Weather, and JEPPVIEW. Fresh hot sections by Pratt & Whitney. Fresh 600, 800 hour, 6, 12, 24 & 48 month inspections. Engines Enrolled on JSSI Platinum Program w/LLC Coverages. Cessna Pre-Purchase Inspection w/BOV corrosion check, gear corrosion check, torque tube corrosion check, Doc 11, 13, 17, 18, 34, 40, 47 and 50 along with a formal Logbook review etc. Brought to you by Vance & Engles Aircraft Brokers, Inc.
We currently have an Empty Leg charter rate available. Pricing is point-to-point with no repositioning costs. The charter aircraft is a Cessna CJ2+ light jet with seating for up to six passengers. It is available from Cabo San Lucas Mexico to Dallas, San Antonio, Austin, Houston or other cities in Texas. Charter is available April 21st, 2018 and April 22nd, 2018. Make us an offer on this empty leg private jet charter from Cabo to Dallas, Houston, Austin, San Antonio, Texas. We can also offer a great charter rate to any points in between. Email us at charter@flyjetoptions.com or call 214-254-4997 for information on how to take advantage of this one-way charter opportunity. There’s never a bad time to visit New York or Miami. Neither is lacking for fun ways to spend your days and nights, even if you’re traveling for business. That said, taking a private jet between New York and Miami is, without a doubt, the most enjoyable way to make this trip. The amount of time it takes to fly between New York and Miami will depend on the type of jet you take, how many passengers you have, and what the weather is like. However, the table below features estimated times for our private jet charter options using our flight calculator. If you’d like a more precise estimate, feel free to contact us. Taking a private jet from Miami to New York is about the same amount of time. Depending on how many people you plan to travel with, the following are a few of the private jets in our fleet to take from New York to Miami. Of course, super-midsize, large jets, and VIP airliners are always an option for larger groups. If you’re taking a private jet to New York or Miami, some airports won’t be your first choice for arrival or departure. Fortunately, there are still plenty of options. As one of the most popular destinations for passengers who prefer private jets, New York City is not lacking for airports. You can take off and land your private jet at Teterboro, or Newark. While these two are in New Jersey, their proximity to the Big Apple and the ease with which people can cross the river to enter the city make Teterboro the most common choice. Within New York State, private jets can take off and land at LaGuardia, JFK, White Plains, MacArthur, and many other private and general aviation airports in the surrounding cities. Palm Beach and Miami have a multitude of airport choices as well. You can elect to fly into Miami International, Miami Opa-Locka, Miami Executive, Fort Lauderdale Hollywood, Fort Lauderdale Executive, and Hollywood North Perry. Further north you can take off and land from the airports at Palm Beach International or Boca Raton. Wherever you choose to travel our experts can get you into your airport and city of your choice. You can’t beat traveling in a private jet if you’re going from New York to Miami (or vice versa). The entire flight is unbelievably fast, but you’ll enjoy every minute of it while surrounded by privacy and luxury in your private jet charter. Cessna holds the distinction of having sold more airplanes than any other company in history. After looking at their Citation family of jets, it’s not hard to see why. The company has made a name for itself by combining high-performance with safety and comfort, which is why their planes have become so popular with pilots and passengers alike. 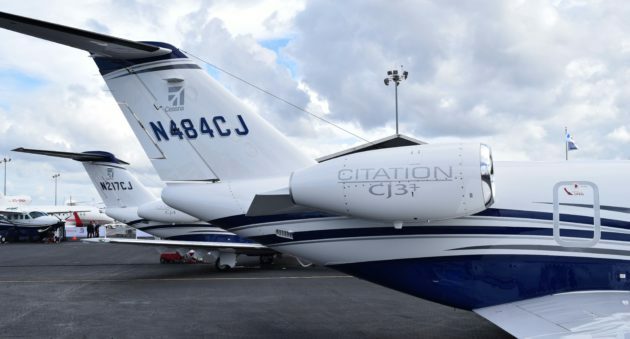 While their fleet is full of examples, the Cessna Citation CJ3 may be one of their best. The CJ3 is part of Cessna’s Citation family of business jets, which the company began manufacturing back in 1991. This plane, also known as Model 525B, is a longer version of the CJ2 (Model 525A). The entire Cessna Citation family tree includes many more models, though, and goes all the way back to 1972, when the original 500 Citation I was released. Since then, Cessna has manufactured nearly 40 different versions, which speaks to the popularity of this particular family of jets. That last number is worth noting as the Cessna Citation CJ3 is an extended version of the CJ2. Passengers enjoy more room for themselves but also for their luggage, as well. However, it’s the craft’s twin Williams FJ44-3A engines that tend to make the CJ3 popular with pilots. The added power allows the plane to take off from a variety of popular airports (e.g., La Guardia, JFK, etc.) that aren’t possible for other jets in its class. Depending on the load, many pilots have even reported climbing directly to the CJ3’s service limit of 45,000 feet. 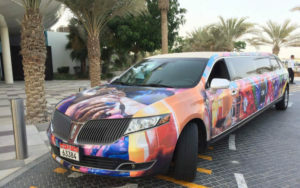 This added power also gives passengers an extremely comfortable ride, even when the weather is bad. In places like Vail and Aspen, where the snow can be a real problem for other jets, pilots have no problem taking off and landing the Citation CJ3. Recently, a Cessna Citation CJ3 outfitted with active winglets made by Tamarack Aerospace Group was able to complete a trip from Paris, Texas to Paris, France with only one stop. The first leg of the voyage lasted 5 hours 42 minutes before stopping in St. John’s, Newfoundland. The second leg took just 5 hours 45 minutes. The entire trip was made at max load. Although this may not be representative of the typical performance for the average CJ3 model, the trip did prove how well-designed and manufactured these jets are. Of course, most passengers choose the Cessna Citation CJ3 because of its interior. 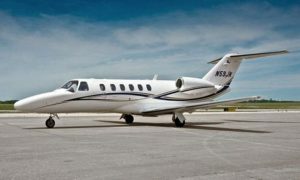 As we mentioned above, this jet is an extended model, which makes for a very spacious cabin at 20 feet, 10 inches long. The six seats (which can be reconfigured to accommodate eight people) are long-legged, so they take full advantage of the added room. These club seats are positioned in a center-style design with three on either side of the aisle. Speaking of the aisle, the Cessna Citation CJ3’s sits slightly lower than the seats, giving the impression of even more room in the cabin. This trait also makes it easier for passengers to move around the jet by extending the height of the aisle to 57 inches. With 14 elliptical windows, the Cessna Citation CJ3 provides passengers with plenty of natural light. However, there is also an indirect LED lighting system, so visibility is never an issue, day or night. 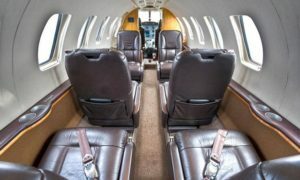 Cessna outfitted this jet’s cabin with an improved compressor, ensuring passengers enjoy an efficient heating and cooling system that quickly responds to their desired temperature. Altogether, the various baggage compartments give the CJ3 65 cubic feet of storage space. Everyone should enjoy a trip in the Cessna Citation CJ30 at some point. Aside from its operational efficiency, this light business jet offers passengers a comfortable ride with no small list of luxury accommodations. Be forewarned, though, after just one flight, you may never want to fly in any other craft. For decades, Gulfstream has been synonymous with high-performance private jets that are as beautiful on the outside as they are luxurious on the inside. Nonetheless, the Gulfstream G280 has still surprised many passengers, even those who have flown on other jets from this famous manufacturer. If you haven’t experienced a flight on this SuperMid Business Jet, you can charter one from our fleet. The Gulfstream G280 is technically a derivative version of the G200, which began its life as the IAI Galaxy. 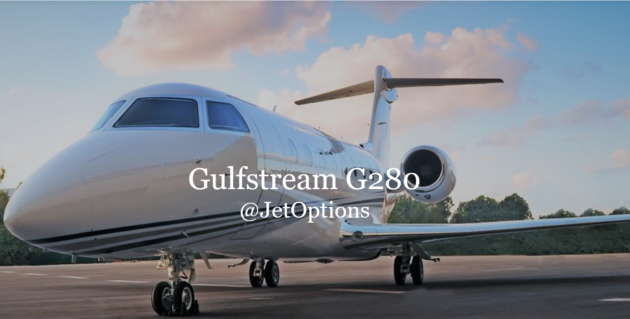 Gulfstream bought the entire program back in 2001 and started making significant changes to suit their market’s needs. The resulting Gulfstream G280 is, for all intents and purposes, a clean-sheet model. While it retains its predecessor’s fuselage cross-section, Gulfstream changed just about everything else, creating a longer, more luxurious product in the process. Many of these specs actually outreach the Gulfstream G280’s original goals. For example, its maximum range – 3,600 NM/6,667 km – makes it the only aircraft in its class that can fly from London to New York, nonstop. At Mach 0.80, it can do so in record time. The jet also broke a record when it was used for a transatlantic flight from Chicago to France. Despite the length of the trip – nearly 4,000 NM – the plane landed with fuel reserves in excess of what the NBAA requires for IFR transatlantic flights. It never fell below Mach 0.80, either, even though it flew its maximum gross takeoff weight. That’s far from all. The Gulfstream G280 has set numerous records in recent years, thanks to its speed and range. Just as important, though, the G280 performs well on the runway, even when the temperature heats up. At its maximum takeoff weight, this jet only needs 3,050 feet to descend and come to a complete stop, which means it can land at numerous airports commercial airlines could never manage. Of course, the Gulfstream G280 hasn’t reached such heights of popularity just for its performance. The twin-engine business jet also has plenty to offer passengers who put a premium on comfort. Gulfstream updated the previous model by increasing the interior cabin’s length by 17 inches. This added space now accommodates two extra windows on each side. As a super-midsize model, these improvements make the Gulfstream 280’s cabin the best in its class. The windows are also worth noting because of their design. Obviously, the extra windows mean much more light, but the design’s use of window reveals gives a pleasant illusion of extra size and a noticeable touch of elegance. The G280 interior can be configured to suit 8 to 10 passengers. Several of the seating options include a stylish divan. By mid-size standards, the G280’s cabin is absolutely huge. The aisles are 23 inches wide and 6 feet, one-inch tall – 7 feet at the cabin’s shoulders. With the popularity of flat-floor cabins, Gulfstream’s choice to implement a walkway may seem outdated. However, the G280’s seats (which are highly articulated and extremely comfortable) are on raised platforms, so passengers sit along the widest sections of the cabin. Passengers can, therefore, enjoy even more space by sliding their seats toward the aisle. Finally, there’s the actual air in the G280. The vacuum toilet and venting system overhead ensure the bathroom on this jet is always fresh and free of smells. Back in the cabin, passengers will enjoy fresh – not recycled – air. Both of these features make a world of difference during longer flights. The rear baggage area of the Gulfstream G280 deserves its own mention here. For one thing, it’s extremely spacious. It offers 120 cubic feet (once again, best in class), which is a lot of room for a jet this size. That said, the main reason passengers love it is because the baggage area on the 280 can be accessed during a flight.